Within the past years, Cadillac has built a reputation for building some of best driving luxury sedans and coupes. Sadly the same cannot be said for Cadillac's crossover and SUV lineup. The Escalade prefers driving at a slow and steady rate. The smaller SRX has been compared to the Lexus RX more than German rivals for its smooth and relaxing ride characteristics. But the replacement for the SRX, the 2017 XT5 could be the one to change this. 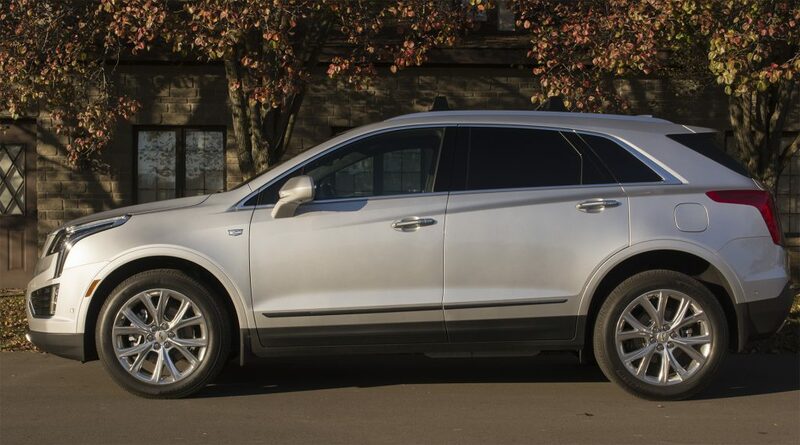 The Cadillac XT5 doesn't really differ from the SRX in terms of its overall shape, with crisp lines and sharp angles. The details are where the XT5 begins to pull away from the SRX. Up front is a larger and wider grille featuring the wreath-less Cadillac emblem and new LED headlamps with LED daytime running lights running into the front bumper. Along the side is a bit of chrome trim around the window frame and door sills. Our Platinum tester came with a set of 20-inch multi-spoke aluminum wheels. Lower trims get 18-inch wheels as standard. The rear features a new tailgate design with taillights that extend into the rear fenders, chrome trim and dual exhaust tips. One area the Cadillac SRX was somewhat lacking in was luxury appointments. Not to say the SRX wasn't a pleasant place to sit in. But compared with its rivals, the SRX paled in terms of material quality and design. For the XT5, Cadillac made an effort to fix these shortcomings and it shows. Our Platinum tester featured stitched leather and real wood trim on the dash and door panels, which helps make the XT5 feel like it stands a class above. Piano black trim surrounds the center stack, which isn't a great choice since it will become littered with fingerprints. But at least Cadillac provides a microfiber cloth to clean it up. Cadillac is following the trend of other luxury manufacturers by changing up the gear selector. Instead of a lever, the XT5 uses a joystick controller to go into the various gears. This selector is not intuitive, as you'll find yourself going into neutral when you meant to go into reverse. We can't help but wonder if Cadillac just changed this because it's the hot trend. The base XT5 comes with leatherette upholstery and higher trims get real leather. The front seats provide excellent support for long trips, and the range of power adjustments for both driver and passenger make it easy to find a position that works for you. An average-size adult will have no qualms sitting in the back. There is enough legroom that you can stretch out your legs. Headroom can vary from decent to somewhat tight if the panoramic sunroof is equipped. The rear seat can recline to give you a little bit more space, along with moving forward and back to provide either more space for passengers or cargo. Open the rear tailgate and you'll find 30 cubic feet of space, putting the XT5 right in the middle of the class. Fold the rear seats and space increases to 63 cubic feet. Cadillac User Interface, or CUE, has been a thorn in the brand's side since it was introduced a few years ago. Slow response times, touch-sensitive buttons that didn't recognize being pressed, and other issues gave CUE a bad rap. Cadillac has finally addressed some of the issues with the 2017 XT5. The big improvement is the introduction of physical buttons for a number of functions, such as the climate control system and heated/ventilated seats. Cadillac still uses a touch bar to control the volume for the radio, which isn't as accurate or intuitive as a knob. Other changes include a faster processor and tweaks to the interface. Using CUE is now less of a headache, as it is quicker to respond and slightly easier to understand. CUE also comes with Apple CarPlay and Android Auto integration if you want something a bit simpler. Our XT5 Platinum tester featured the optional heads-up display. The display shows speed and can be customized to display engine RPM, navigation and what you're listening to through the infotainment system. 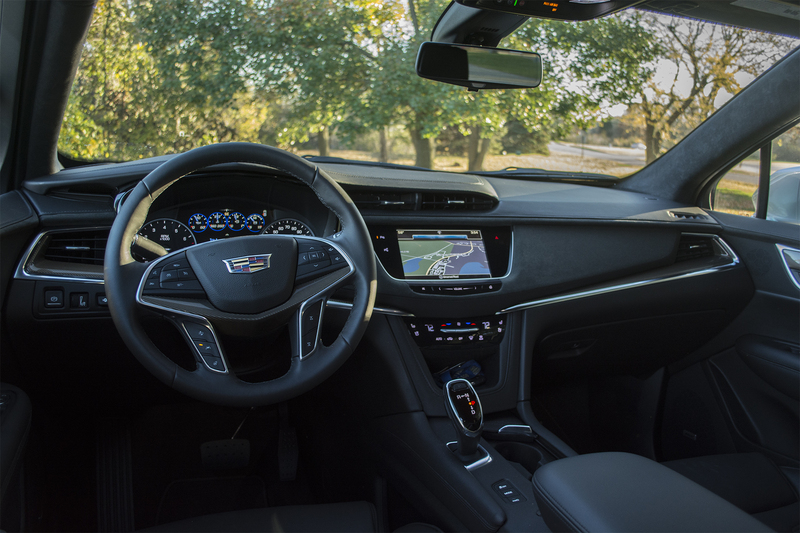 We like the heads-up display Cadillac uses because it's easy to read no matter the conditions outside and provides simple adjustments in terms of height and brightness. EPA fuel economy figures for the 2017 Cadillac XT5 AWD stand at 18 City/26 Highway/21 Combined. Our average for the week landed around 22.3 MPG. The Cadillac XT5 is an all-new model, so there isn't any reliability data to go on at the moment. As for the brand, Cadillac finishes in the midpack in Consumer Reports and J.D. Power's recent reliability studies. 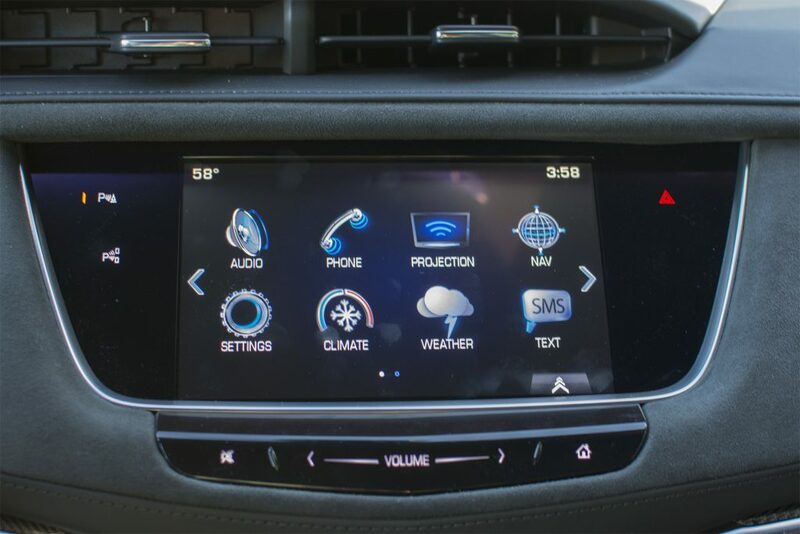 All XT5s come with a full set of airbags, traction control, stability control, parking sensors, a backup camera and GM's OnStar telematics system that brings automatic crash notification of emergency services, remote unlocking, stolen vehicle locator and more. Blind spot monitoring comes standard on the XT5 Luxury and above. Optional on the XT5 Luxury and standard on the rest of the lineup is the Driver Awareness Package. This includes front automatic braking, forward collision alert, front pedestrian detection, lane departure warning with lane keep assist and the Safety Alert Seat that vibrates the driver's seat if the vehicle drifts out of the lane or is close to hitting an object. 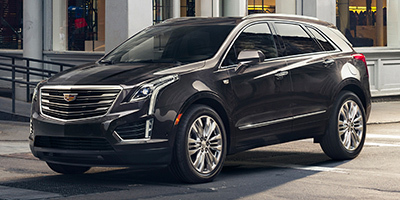 The XT5 Luxury Premium and Platinum trims can be optioned with the Driver Assist Package that adds adaptive cruise control, automatic park assist, collision mitigation system, and front and rear automatic braking. 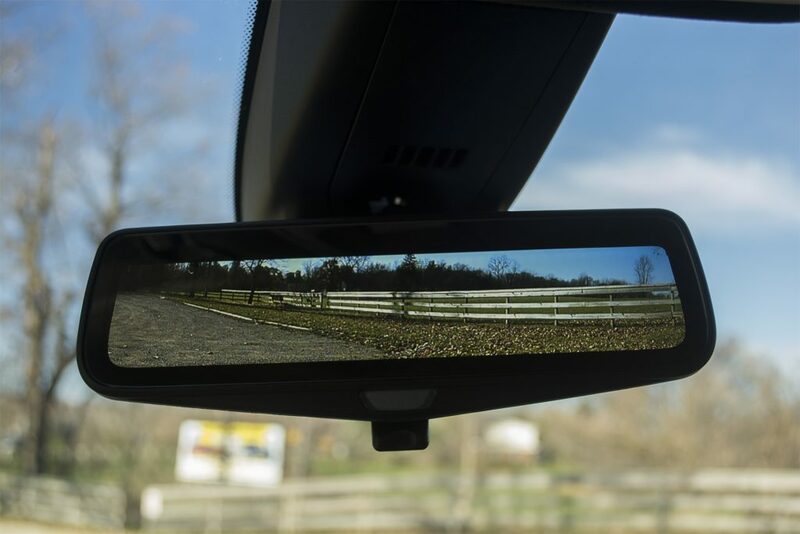 One feature Cadillac touts on the XT5 is the Rear Camera Mirror. Only available on the Platinum, the rear view mirror can stream the view from the rear-mounted camera with just the flick of a switch. At first, this seems like a gimmick. But it becomes very helpful when backing out of tight spaces as the camera provides a view that isn't hindered by the thick rear pillars. The Insurance Institute for Highway Safety (IIHS) is the only group to crash test the XT5, from which it earned the highest honor of Top Safety Pick+. The XT5 bucks the trend of most luxury crossovers by only offering one engine: a 3.6L V6. 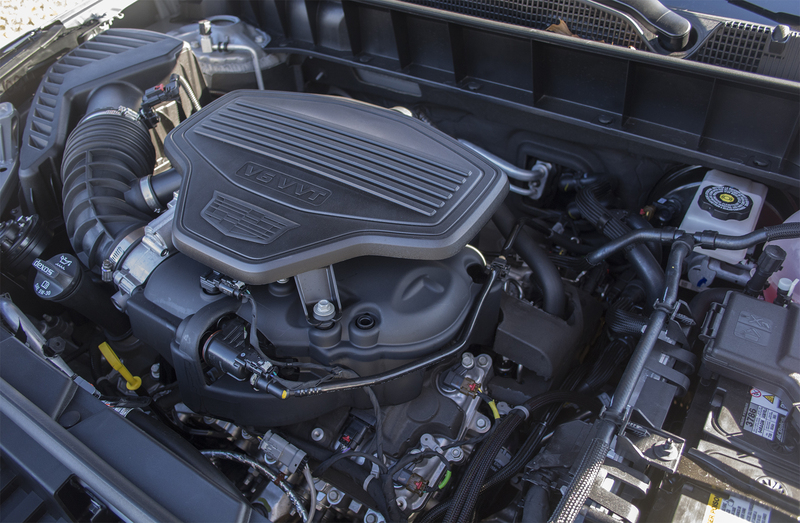 Output is rated at 310 horsepower and 271 pound-feet of torque. This is paired with an 8-speed automatic. The V6 will not impress anyone. Pulling away from a stop, you might find yourself wondering is anything happening as it takes a moment or so for the engine to wake up. Once the engine is going, speed builds at a steady, albeit slow pace. Not helping is the automatic transmission, which seems to be tuned more for fuel economy than performance. It seems reluctant to downshift at times such as making a pass. You'll find yourself putting your foot to the floor or putting the transmission into manual mode and downshifting yourself to get moving. There are some plus points to the XT5's powertrain. The V6 is muted at speed and doesn't sound coarse during hard acceleration. Cadillac has also worked on improving fuel economy by adding cylinder deactivation and a stop-start system. The latter may put some people off since stop-start systems have earned a reputation for being slow to restart the engine. In the XT5, the system is quick to restart the engine once you release the brake pedal. Cadillac has garnered a reputation in the past few years for building models that can give the Germans a run for their money in terms of handling. Sadly, the XT5 isn't one of those vehicles. Despite our tester having an adaptive suspension system and all-wheel drive, the XT5 never feels confident going around a corner. There is a fair amount of body roll and the steering feels too light. At least the XT5 retains the most of the SRX's cushy ride. We say most because the 20-inch wheels on our tester did allow some bumps and road imperfections to get inside. 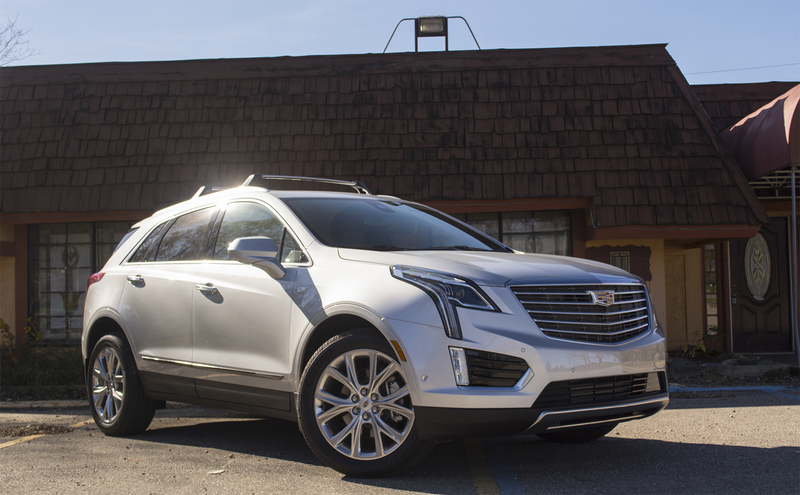 Credit the adaptive suspension system for this as the XT5 without it offers a choppy ride. Barely any road or wind noise comes inside. 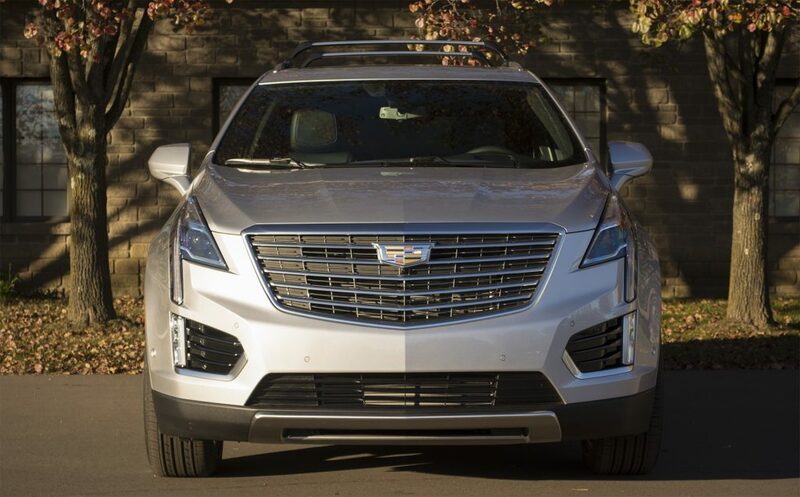 The Cadillac XT5 is one of the least-expensive vehicles in the class, with a base of $38,995. It should be noted that the base XT5 only comes front-wheel drive. If you want AWD, you'll need to step up to the Luxury at $47,390. Our XT5 Platinum AWD begins at $62,500. With options, the as-tested price was $69,985, with destination. On one hand, this puts the XT5 above the Lexus RX and Volvo XC90. But the XT5 does undercut the Mercedes-Benz GLE and Porsche Cayenne. For most buyers, we would recommend Luxury Premium trim at $52,890 for FWD or $55,385 for AWD, as you'll get most everything and you'll be able to option the Driver Assist Package that adds adaptive cruise control and automatic front and rear braking. When it comes to midsize luxury crossovers, you can't start speaking about this without mentioning the Lexus RX. Redesigned for 2016, the RX has grown in size and offers powertrains that can give you power or the fuel economy. If you need 3-row seating, the Audi Q7, BMW X5 and Volvo XC90 should not be ignored. Nor the Lincoln MKX, which has developed its own identity and isn't just a rebadged Ford Edge. Plus it can rival the XT5 in terms of interior appointments. For drivers, the Porsche Cayenne should be at the top of the list. 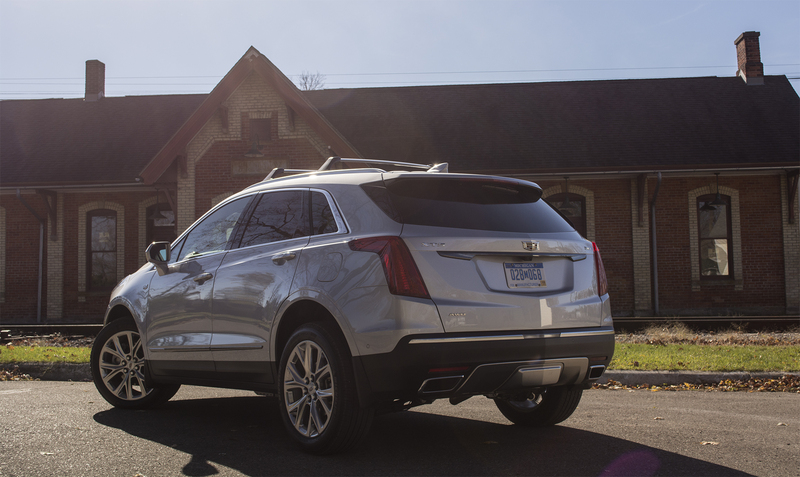 The Cadillac XT5 is an improvement over the SRX in some areas. The exterior styling has become more distinctive and the interior shows noticeable improvements in terms of appointments and overall usability. It doesn't hurt that the XT5 is quite spacious for passengers and it delivers one of the quietest rides in the class. It's disappointing that Cadillac didn't give XT5 a bit of the handling magic that its sedans and coupes are known for. But maybe that's for the better, as the XT5 without the adaptive suspension is a bit of a mess. Cadillac should also offer another engine choice besides the 3.6L V6 since a little more punch wouldn't be a bad thing. Ultimately the XT5 doesn't have that killer feature or trait to set it apart from a very crowded field. Interested to see how the 2017 Cadillac XT5 ranks against similar cars in terms of key attributes? Here are the 2017 Cadillac XT5 rankings for MPG, horsepower, torque, leg room, head room, shoulder room, hip room and so forth.